Ladies and Gentleman, Elvis is going to be in the building very soon! The King of Rock meets the Queens of Country in a stellar new show starring world champion Elvis tribute artist Thane Dunn, returning to Wolfville to entertain the masses. The Elvis rock and country experience with the international world champion Thane Dunn and his Cadillac Kings will present 19 concerts across Atlantic Canada, with an April 19 stop at the Festival Theatre in Wolfville, and you should get your tickets as soon as possible. Dunn’s new show features not only Elvis’ iconic rock songs, from “Blue Suede Shoes” to “Suspicious Minds,” but because Elvis loved and sang a lot of country music, Thane will be adding several of Presley’s country hits like” Always on My Mind,” “Kentucky Rain,” and many more. And where do the Queens of Country fit into all this? Well as an added treat, this tour has a very special opening act. Audiences will be blown away by The Rhinestone Cowgirl with her incredible salute to Loretta Lynn, Tammy Wynette, and Patsy Cline. With her stunning 4-octave vocal range and movie-star good looks she will melt your heart. Like Thane, with his authentic Elvis garb, The Rhinestone Cowgirl also wears incredible replica costumes of a time long gone by. She’s had standing ovations from Nashville to Toronto and is well on her way to a show of her own. So how does that sound everyone? 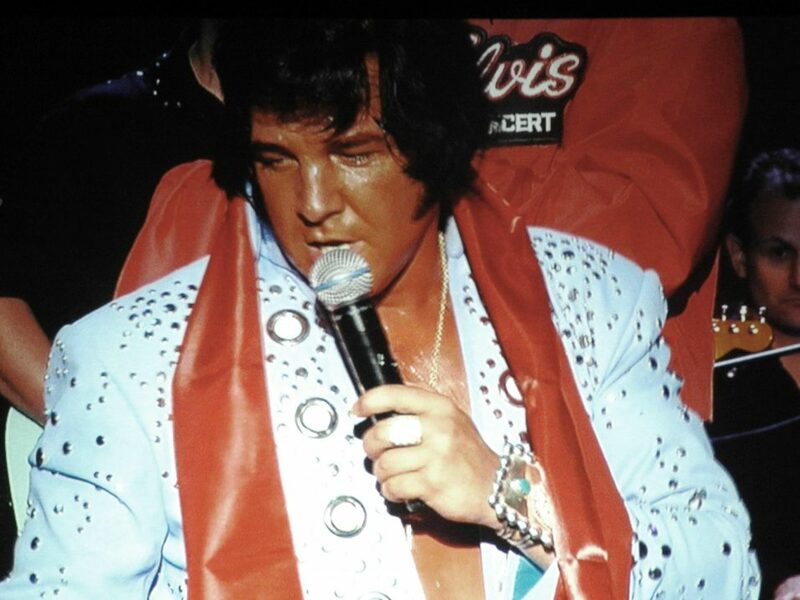 The best of Elvis and all the ladies of country music in one dazzling evening! Even if you’re not as big an Elvis fan as me, seeing Thane Dunn and his 8-piece Cadillac Kings band recreating history is something to behold for anyone looking for a great show filled with lots of fun, familiar songs and Thane’s unique brand of humour, charm, and showmanship. This show is family-friendly and a great way to introduce the younger generation to the greatest entertainer ever! You can’t help falling in love with Thane and his band so join them at the Festival Theatre in Wolfville on Friday April 19 at 7:30pm. To purchase tickets visit thanedunn.ca or to contact Thane for more info at thanedunn@gmail.com.